The Longford Collection is named after County Longford, in the midlands of Ireland, a Viking town literally translated as long port. The longest running Galway pattern, this suite proves popular from generation to generation. 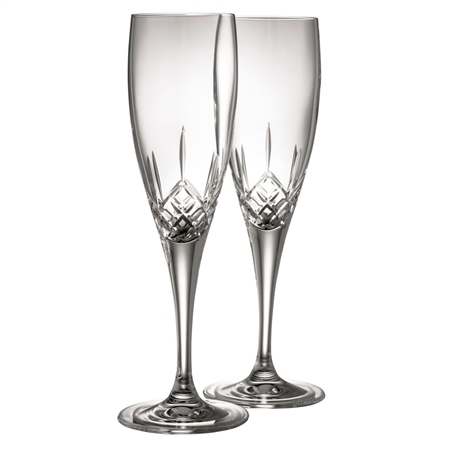 The Galway Crystal Longford Flute Pair would make a beautiful gift. Purchased the Longford flute pair as a gift. The design of the glass is beautiful. The quality of the product is wonderful. The ease of ordering was quick and simple. Delivery was faster than expected. Would definitely order from Belleek again.